On this page we'll post information about any open positions at Stix. If you think you'll be a good match for the rest of the team here then please do contact us even though no open positions are listed. Front-end developer Ready for some real development? Sales Do anything to close a deal? You're not the one we seek. Perl developer Passion for API- and backend development? Ready for some real development? We do not know the reason you are looking at job listings today. Perhaps you are unhappy where you work because you are not seen and appreciated as a professional? Perhaps you feel like you're stuck in a job filled with routine and pointless tasks? Maybe you're just ready to take on new challenges? Whatever the reason you have for being interested in this position, it is a good idea to read on. Here you'll get a job where professional integrity is appreciated, where there is ample opportunity for personal development and the working environment is good. We are looking for a front end developer who will contribute not only to developing next generation solutions for our customers, but also to develop Stix further. Of course, you will have fun with Vue and ES6 and all the other technologies with fancy abbreviations, but your position will also mean that you become part of a business and working environment in constant development. With us you will experience an everyday life that you for the most part control yourself and where you are listened to when it comes to products and solutions we offer. It is important to us that you are familiar with open source and free software. Feel free to link to a GitHub or GitLab account if you have one. Other than the above you can look forward to a positive working environment with lots of energy, where everyone pull in the same direction and where it is fun to work. If this sounds like something you can appreciate, contact christopher [at] stix.no. You will not be disappointed. Do anything to close a deal? You're not the one we seek. We can't possibly know the reason for you reading this listing. Perhaps you are a very competent salesperson who is forced to compromise on your own conscience or is asked to take shortcuts just to land contracts? Perhaps you don't feel at home among «sales ninjas» who «loves risk» and are «constantly profit driven». You know, the people who'll stab you in the back for a quick win? Perhaps you are looking for a product you can confidently market and feel proud representing? Whatever the reason is for your interest in this position, if you want a job where professional integrity is highly valued and there are plenty of opportunities for personal development you should definitly read on. We're looking for a salesperson who can be part of lifting Stix to the next level. We have an attractive product and is positioned well for growth. Our company need a skilled salesperson who has a good understanding of technology and who dares think further than just the next sale. As a salesperson in Stix you will be part of company that moves forward at a rapid pace. 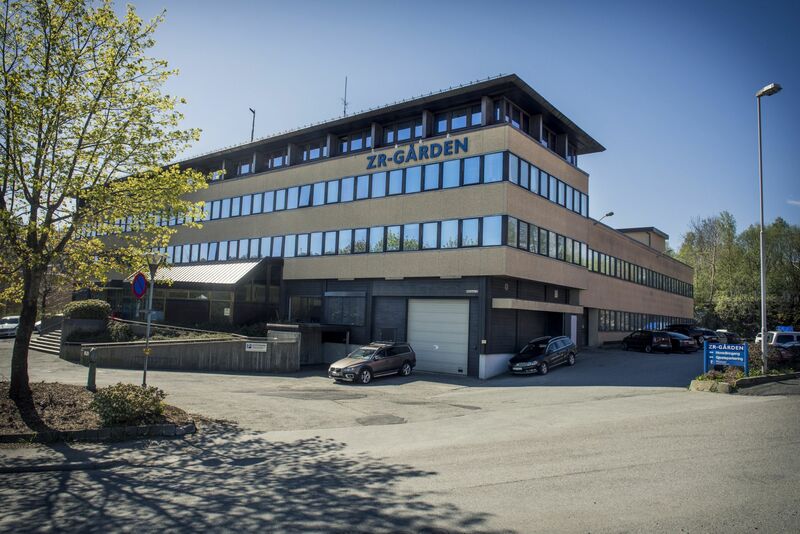 We have positioned ourselves as a provider in a market with only two real competitors in Norway. You will become a key member of our organization and play an important role in building an efficient sales organization in close cooperation with the CEO and existing technical staff. We expect you to be an easy going and pleasant person who can communicate well both in the norwegian and english languages. Having experience in B2B and B2G is a plus, as lagre corporations and centranl as well as local government are our primary markets. You can expect a positive working environment with lots of energy, where everyone pull in the same direction and where your are taken good care of. Passion for API- and backend development? We need an additional Perl developer who want to work with many different technologies in a small and friendly team. Some work will be done on internal systems and the rest of the time will be spent working with us to help our customers elegantly solve their issues. You'll primarily be working on development in Perl, facilitating getting Perl-systems into production and contributing to modernizing existing Perl-systems. The broader experience you have the better. We will primarily be looking for someone who are familiar with a broad repertoire of technologies and who have a solution-oriented mindset. You need to be proficient with Perl. We offer a friendly working environment, large degree of individual freedom, the ability to influence direction both at Stix and at our customers plus a wide array of interesting problems to solve. Stix gives a specific amount of annual revenue as a bonus distributed to all employees from their 2nd year in the company. Every employee also have a set amount to spend on conferences both in Norway and abroad. Stix is a young company that sell emergency broadcast systems to customers in Norway. That we are young organization is evident from the energy level and the way we work, but also that we have not adopted the bad "habits" of more established businesses. As an example, we have no kickback or license agreements that prevent us from being objective when we give our customers advice. Nor do we have a lot of bureaucracy with middle managers who slow down the processes. And we also do not have a preconceived attitude towards either customers or partners. What we have, on the other hand, is a young and very competent professional environment that is at full speed ahead. With us you will be an employee with great influence on both the working environment and the solutions we deliver, and you will have plenty of opportunities for professional development - our attitude is mostly «if you want, you can». Last, but not least: you also get nice colleagues, good terms and (soon) new, pleasant offices in Kronstadparken in Bergen. But first and foremost, you get the opportunity to help build a business that is already in a good position and be part of a journey where your voice matters.